Paths are invitations to explore, to step out of your home and venture into nature — even if it’s your own backyard. In fact, a thoughtfully designed path can turn a simple walk across the yard into an opportunity to slow down and notice your surroundings. From a stepping stone path leading through a shady woodland to a wide tree-lined path meant for walking hand in hand, here are 8 ideas for creating the garden path of your dreams. 1. Rock-wall-lined path. Low, stacked rock walls line the edges of this gently curving gravel path. Using stone walls creates raised planting beds alongside the path, allowing the plants to spill over without overtaking the walkway. 2. Timber-step path. Chunky pieces of wood create low steps in this curving gravel path. Flexible metal edging helps keep the stone from migrating into the surrounding beds. 3. Woodland path. 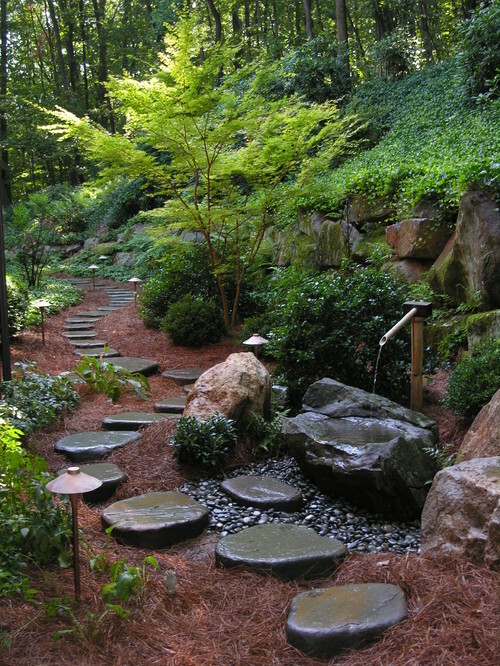 Fragrant pine-needle mulch surrounds round stepping stones leading to a bamboo and stone fountain in this wooded garden. 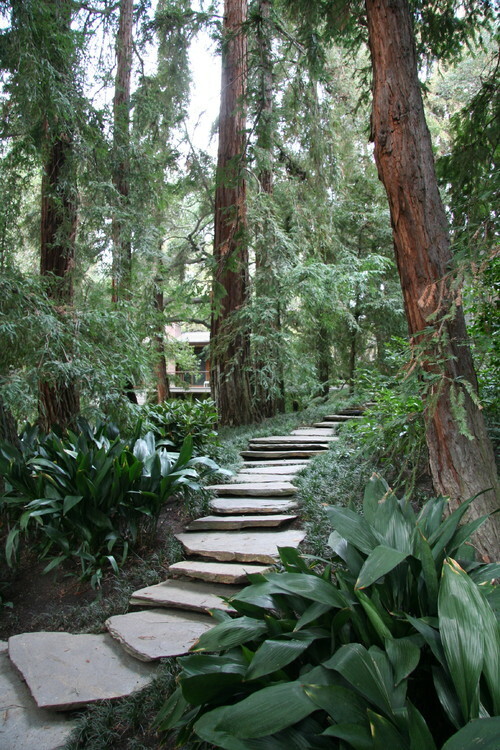 A pathway like this is a wonderful way to bring a bit of magic to a shady spot in the yard. 4. Stone-river path. An intricate design like this one is as much a pleasure to look at as it is to walk on. 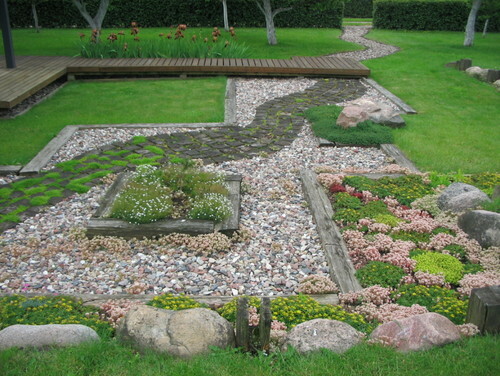 A meandering stream of stones winding through a secondary bed of gravel invites exploration. 5. Bird’s-eye path. Have a good view of your garden from an upstairs window? Make the most of it by designing a path that creates a distinct pattern when viewed from above. 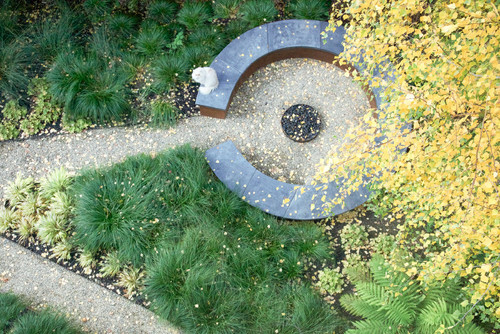 Here, a sharply angled gravel path leads into a circular seating area with a fire pit in the center. 6. Waves-of-grass path. 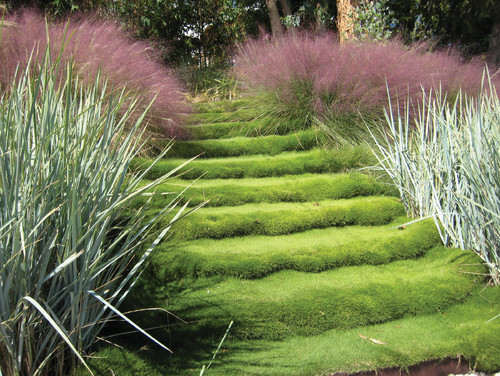 Steel risers form the base of this unique set of garden steps; Korean grass planted on top needs no mowing. This pathway begs to be experienced with bare feet! 7. 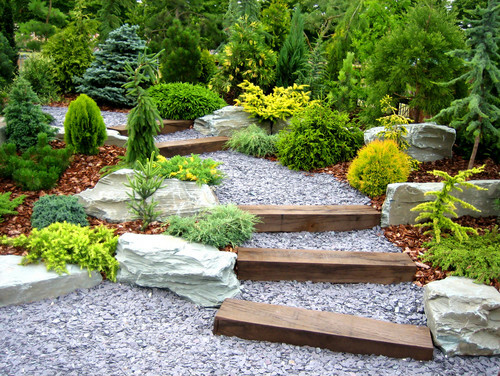 Stone-step path. Large stone slabs make up this striking path, which transitions seamlessly from steps to flat walking path. The organic, uneven edges of the broken stone look right at home under the cover of the redwood trees. 8. Winding gravel path. 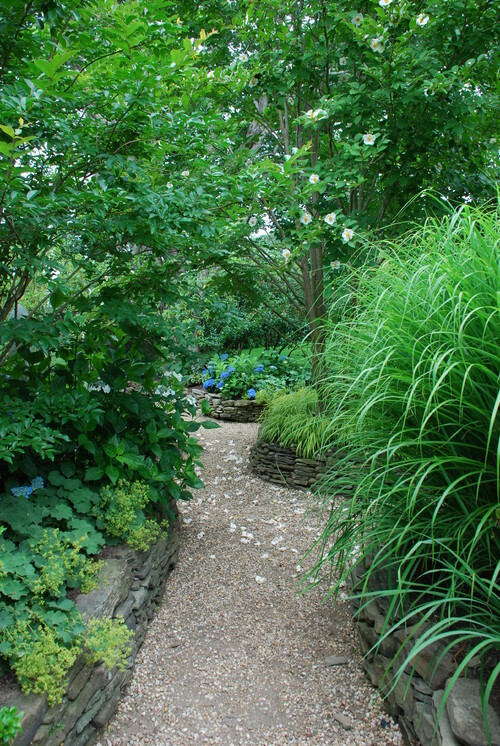 Curving paths can make a small garden feel larger. 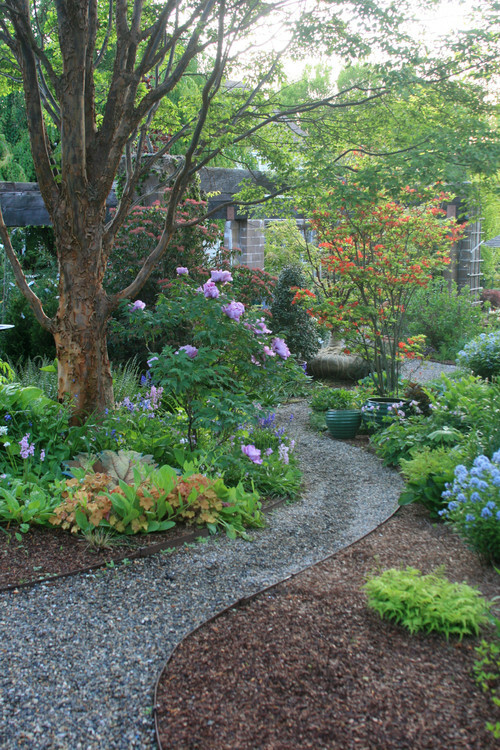 Enhance this space-expanding effect by using smaller plants in the foreground and taller, fuller plants and trees near the back of your path. IS AN IRRIGATION SYSTEM RIGHT FOR YOU?